The lights were a nice surprise when I drove down the Avenue last night. 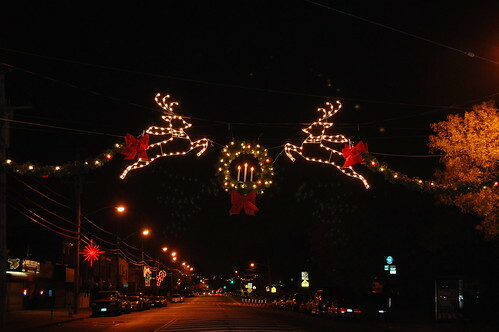 They look great, eventually I would love to see lights in the trees all along the avenue that would be beautiful. We should ask for volunteers to adopt a tree and fill it with white lights..only problem is where to plug them in …. It really is beautiful Kudos to whoever did this, I think it should be announced who did all of the work that went into making Gerritsen a little better.